There are different marketing techniques available for small businesses. Digital platforms are a good opportunity for them to compete evenly with other businesses. When it comes to online marketing, everyone has a chance to appeal to a huge number of people. It is not like traditional advertising means like TV and radio, where only huge businesses have the financial capability to compete. Even digital marketing has evolved over the years. These days, video marketing is already the most popular advertising technique. Most people would rather see the information by just playing a button instead of reading an entire article. Besides, with the availability of faster internet speeds, this is not an issue anymore. With the right message presented through a video, it would be easier for you to capture people’s attention. There are a lot of videos that go viral. When you just have one viral video which contains information about your business, this means a lot. The goal of these videos is to just make people aware of your brand. You don’t even have to directly advertise your products. You just need to insert the brand somewhere in the video. You can even collaborate with popular YouTubers since they already have huge following. You may also work with other websites just to embed your video. The goal is to just reach as many people as possible for them to know about you and somehow establish trust. Of course, you need to choose who to partner with. Most people would love to hear a good success story. The videos you put out might also be about your success story. Tell them about what you have gone through in building the business or what the product has done to help others. These videos are engaging. They are professional looking. They can appeal to people from all walks of life. Look for a good narrator and choose the right words when delivering the message so make more people feel interested. A lot of business owners can attest that the use of video marketing has increased their total sales. When people see the video, they tend to immediately buy the products and services. This boosts the overall sales immediately. Videos that involve tutorial or instructional content are also appealing. Most people would click on these videos. 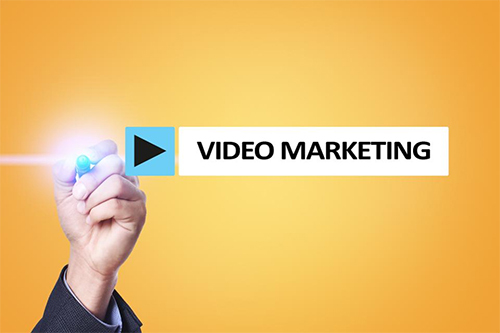 In the end, it is up to you on how you can take advantage of video marketing. Everyone is going online these days. However, even the online world is too big that you have to make sure you appeal to your target market. Take time to know your target audience and what message to put out there. Once you have crafted the right message, choose the right videos and collaborate with the right people. This is how you increase your popularity online in the digital age. Hiring Friends to Work for You. Is It a Good Idea?